With the development of science and technology and the continuous development of management thoughts, Ellsen’s port handling equipment management has gone through the planned pre-repair system and is moving towards the stage of visual maintenance.The main basis of the maintenance is the monitoring of the technical status of the equipment.Periodic inspection of equipment is an important part of the state monitoring of equipment technology and an effective means to master the state of equipment technology.The “Regulations on the management of port handling machinery” issued by the Ministry of Communications in 1998 has been carried out in a planned way (hereinafter referred to as regular inspection).Regular inspection is an important part of state maintenance, port machinery enterprises should regularly check system and working procedure to establish a sound machine. In the implementation of the Ministry of Transportation Regulations on regular inspection equipment in the process, many units and personnel to perform regular inspection, because of unknown purpose, regular inspection to determine the principles is not reasonable, daily and periodic inspections of the 6 end after the completion of the system, and further optimize the handling operation and the production management process, provided the information processing bag and the transmission speed of the port berths, yards, machinery, labor duty confusion, content and means of regular examination is not scientific, caused the work does not achieve the desired effect, and thus can not effectively for a long time. 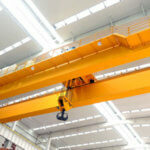 The function and principle of periodic inspection of gantry crane is the main equipment of a general cargo wharf. The quality of the port depends on the quality of the port. 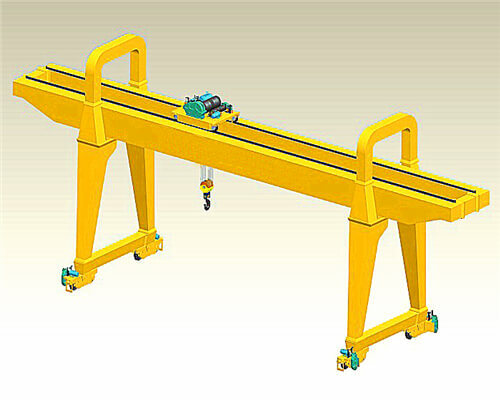 The regular inspection of the equipment plays a very significant role.Companies manufacturing the port crane equipment unit should ensure that all equipment management personnel clearly know the role of the regular inspection, reasonably distinguish and determine the daily inspection and regular inspection (check) job duties, making regular inspection principle, to make regular inspection work effectively for a long time. The regularly check can greatly improve the production efficiency of loading and unloading, shorten the ship time in port, through the monitoring and management of equipment operation, reduce quality accidents, low energy consumption, the port has brought enormous economic benefits, at the same time, through the Internet and get the latest supply and marketing information promote the reputation of the enterprise, to expand its visibility, improve market competitiveness, accelerate forward to the international modern comprehensive port pace. The function of regularly check can be divided into four aspects: the first is to detect and exclude equipment failure, ensure the safe and efficient and economic operation; secondly it can better grasp the technical status and evaluation of the equipment used in the process, analyze and summarize the failure and the operation of consumption law; third is through regular inspection work, supervise subordinates to do management work, to ensure that the conditions and relevant regulations, according to the principle of reasonable use; it can provide the basis for equipment maintenance, repair, renovation and performance appraisal.Only by defining the role of regular inspection of the equipment can we reasonably determine the content of the periodic inspection. Cycle principle: the periodic inspection cycle is 500 working.When the equipment is in the static state, the force of the structural parts is in a low state, and there is no wear phenomenon in each part, and the main technical states are basically unchanged.In the process of operation, the equipment not only has natural wear and lubricating oil changes but also may appear abnormal damage.Therefore, regularly check the cycle of the equipment, should be based on hours of work as the main basis, appropriate nature, especially in the equipment utilization rate can be utilized to shorten the work time period. 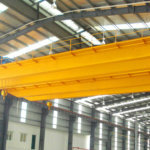 The personnel principle: professionals and the operators are combined.Professional staff should have professional knowledge of hoisting machinery, electrical, have rich experience, serious and responsible spirit and good working attitude; the operator is responsible for the operation of equipment, and is responsible for the daily inspection and handover of equipment, control equipment state of first-hand data, regular inspection of equipment can play is very important.At the same time, the operators can improve their technical level by taking part in the regular inspection.Therefore, it is necessary to conduct regular inspection of equipment in two aspects. 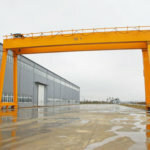 Generally speaking, there should be a mechanical engineer, an electrical engineer, a maintenance crew of two gantry cranes and a number of drivers. The time principle is 3 hours per time.Having a clear time requirement is not only conducive to arranging the date of regular inspections, but also stabilizing the psychology of regular inspectors, enabling them to have enough patience and careful work, so as to avoid going through the motions. The tool principles should be checked with the corresponding tools at regular intervals.With disassembly tools, electrical tools, measuring tools and simple test paper, can promote the regular inspection personnel work, demolition protection cover all parts of the direct examination of the internal situation; to check the fastening fixed part; can check the oil quality and the rotating parts of the temperature rise; to check the status of the electrical components technology thus, further complete the regular inspection work, avoid cursory examination. The regular inspection of the state principle should be checked in the state of the heat engine.Many of the technical condition of equipment, such as sound, temperature rise of each component of motion, vibration of metal structure, viscosity and cleanliness of lubricating oil, the parameters such as current and voltage of electrical components, technical condition of wire rope, the safety device and a limiting device, only in the running state can.Therefore, the state of the periodic inspection of the equipment is very important. Analyze and summarize the principle of the equipment necessary for a regular inspection summary of the work in the first half of the period, the common analysis of the relevant departments and personnel technical status and development trend of equipment, analysis equipment and maintenance, maintenance, repair or reconstruction proposals put forward.In this way, we can not only promote the equipment manager, but also achieve the regular inspection function described in the 2.1 paragraph, and let everyone see the benefits of regular inspections, and promote the regular and effective inspection work. 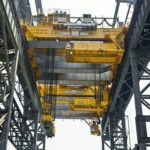 The inspection contents of portal cranes can be generally divided into routine inspection, regular inspection, and special inspection. 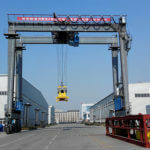 They have their respective purposes and priorities.Daily inspection requirements of each class or work for a day, is to test the port in 1 working class or working days, whether the normal operation without failure. 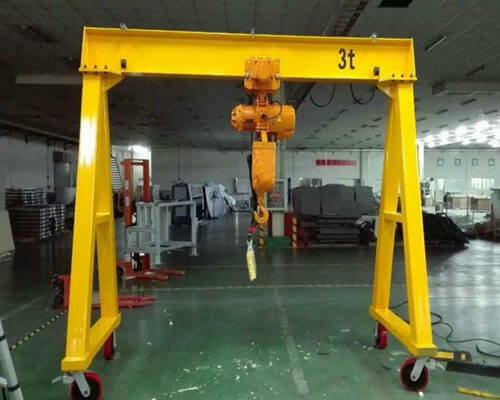 Regular inspection is a period of time once to check table 1 Port Portal Crane regularly check equipment inspection personnel inspection table number years I1 month time interval said tons of technical requirements inspection institutions content fault location and treatment recommendations, the motor deceleration phenomenon of parts without displacement; compact machine, wire rope reel. The hole is smooth or not; the brake wheel cylinder hole smooth smooth braking wheel and make smooth and no stain, brake shoe abrasive tile the wear loss, non system and non braking state between the gap and the gap in the dynamic state or specification; hydraulic push hydraulic pusher multiplexer without oil break, work place for inorganic abnormal sound, braking force of wire rope reel structure suitable overall appearance clean cylinder supporting seat and shaft stain, no crack; the bearing seat technical condition, no vibration and temperature rise; the steel wire rope pressing block is tightly aligned, pressing block fastening Lianggu technical condition of the steel wire rope and wire rope. The needle shrink diameter in the specification, good lubrication condition, good lubrication of the rope; no-slip condition, or loose rope situation, phenomenon; anti-rotation device rotates anti-rotation device and spirit hook; no hook damage and crack condition, the slip mark, rope off a round of each pulley groove intact; no wear, good lubrication is required to determine the technical state of port performance Trend.The special inspection is to find abnormal phenomena in the operation of equipment inspection or further examination, to cause failure or danger for exact judgment, repair plan and ensure the port to achieve performance and accuracy requirements provide the basis.Therefore, making regular inspection contents is an important guarantee for the three ways to distinguish effectively and cooperate closely, so that enterprises can truly grasp the state of equipment technology. 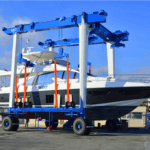 In port enterprises, the regular inspection of equipment is usually reflected on the periodic checklist. A good check table, not only have to check the time, executive and specific content, but also the detailed technical requirements for inspection comparison, fault location and the phenomenon of the records so that search, preliminary treatment suggestions for further work, the operation of tons for fault analysis and specific interval work, technology specification table and requirements in the state to form part of statements.If possible, the periodic checklist should also be easily managed and analyzed by the computer.In this way, the periodic checklist will effectively combine the principle of periodic inspection of various equipment, so that the periodic inspection will have a good start. Regular inspection work is different from the equipment manufacturing, can use the hardware to ensure processing quality, but is highly dependent on people’s knowledge and experience to ensure a people-oriented inspection work effect, therefore, regularly check the work without special organization mode and the number of requirements, as long as the relevant principles and contents are well will have a good effect.Of course, because this is a people-oriented work, but also need to create a mechanism to make regular inspection personnel can see regular inspection function, also calculated the value of its people, and to constantly get labor value and pleasure from work, to maintain long-term working enthusiasm and creativity.In this way, regular inspection is no longer a boring activity. It is no longer a routine and unnecessary form under the system requirements, it will be able to carry out in a long-term and effective way.In this way, regular inspection is no longer a boring activity. It is no longer a routine and unnecessary form under the system requirements, it will be able to carry out in a long-term and effective way.